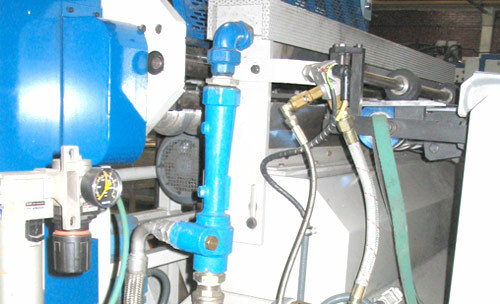 The anti-flecking consists on a burner that forms a curtain of fire to flame the sheets in coating and printing lines. The sheets are heated by the flame when passing through the machine; the pasted residuals of the sheets (powder, water or oil particles) are eliminated. Lateral view of the Antiflecking.